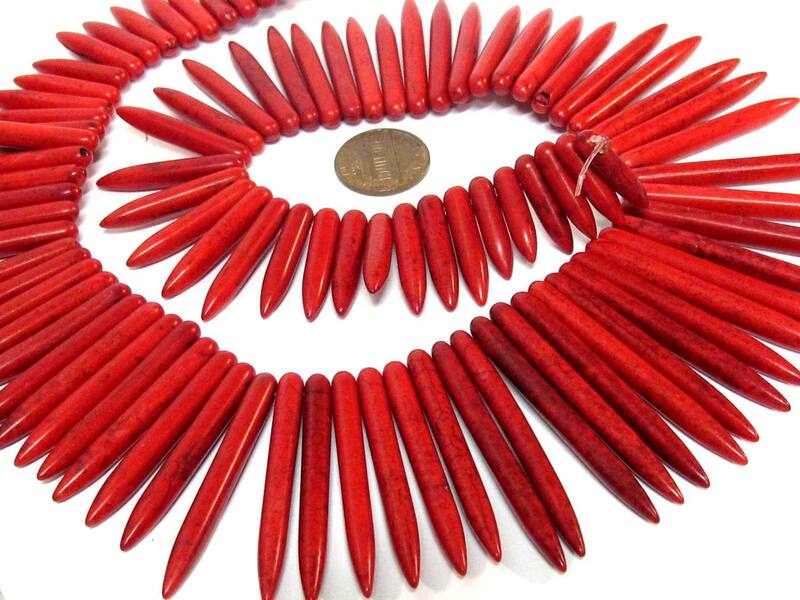 This listing is for 1 full strand . 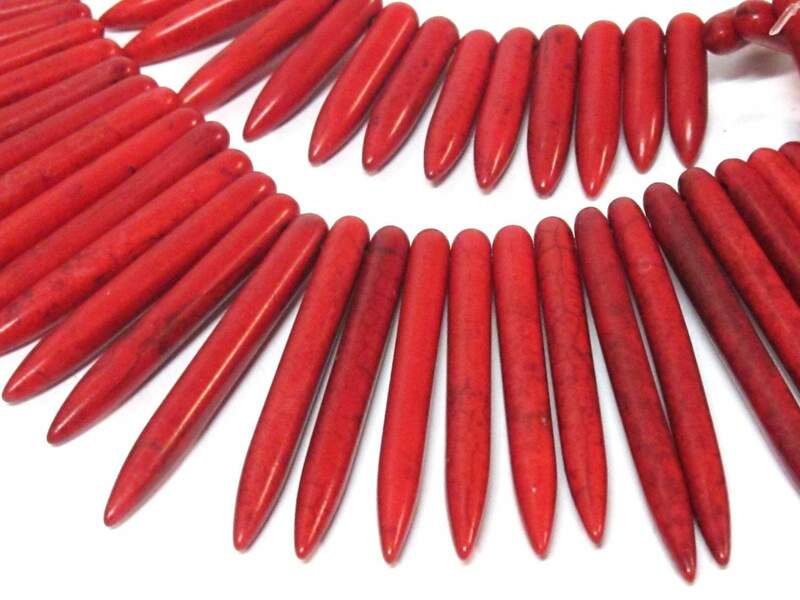 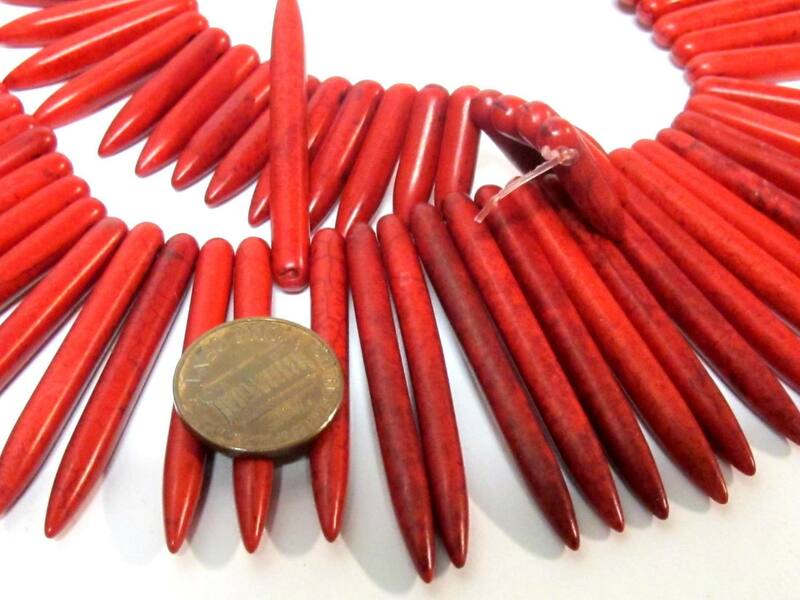 Red color magnesite stick shape beads. 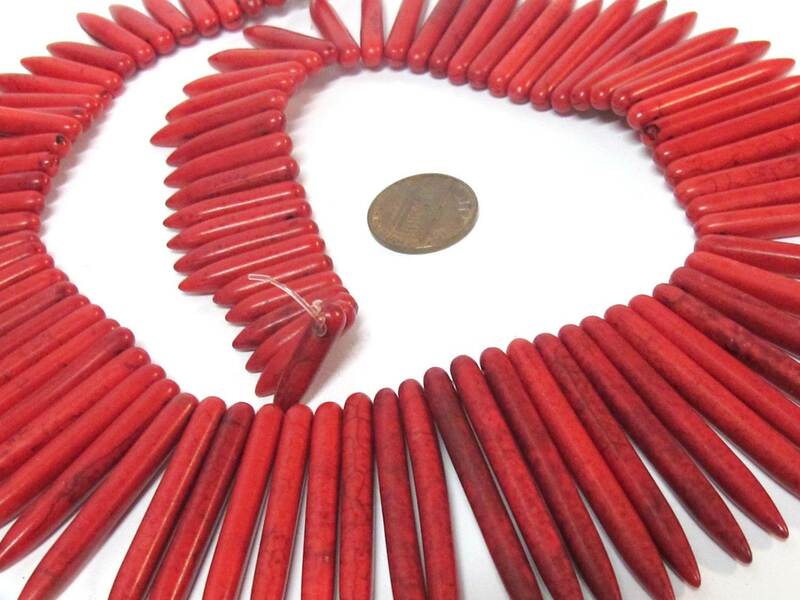 Top side hole drilled. 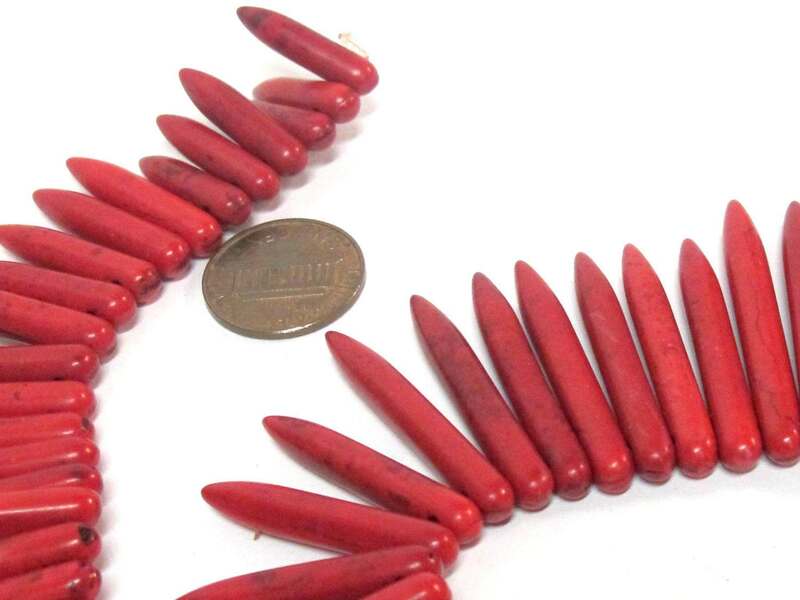 Bead Size - Approx longer ones are 47 -48 mm to smaller lengths 18-20 mm x approx 5 mm thick.